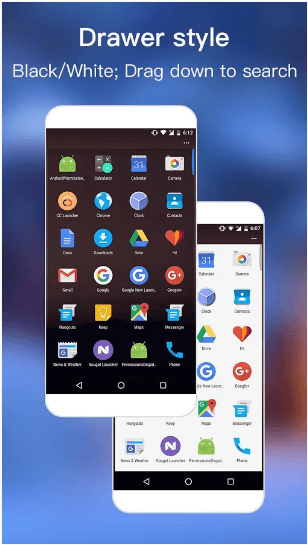 Nougat Launcher Apk is a new android launcher which is going to give Nougat style to your android device. Nougat Launcher includes some amazing features that are going to make your device super fast and stylish. 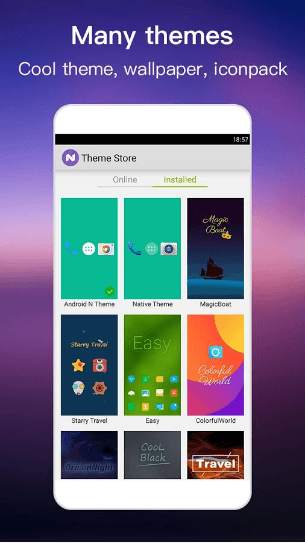 Just like every other Android Launcher, this also includes multiple style widgets, gadgets, and icons with customization options. Other features of the app include multiple themes, Hiding app, Gesture support, widgets, search bar and much more. 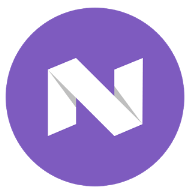 Nougat And Nova both have their own fans for their own reasons, however, the main difference is that Nougat launcher is available as a free app while Nova launcher is included in the paid category of PlayStore. Both have amazing features like multiple style themes, icons, widgets and much more. Nougat is famous for its Gesture Support but YES nothing can beat the Million+ icons of Nova Launcher Prime. 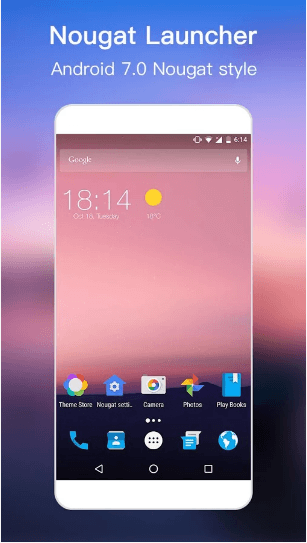 Both have their own qualities, however, Nova launcher far more advanced than Nougat because of its huge massive number of features, regular updates and unique options. Don’t Forget To Comment your experience with Nougat And Nova Launcher. You can improve your android device while still having the native android experience. Get massive number of amazing themes and get support of them in case of any bug or error. Enjoy multiple icon packs with different style and customize them in your own. Enjoy the feature of hiding apps and enable lock on them. Home Page Search bar for finding apps, contact and message etc easily. Multiple widgets with customization option. Options for customizing search page style. Optimization for edit page is now also possible. Many bugs of v2.4 have been fixed. weather bug of v2.3 has been fixed. Prime Key for removing ads and getting full support. Lock screen with double tap.